From ultra-luxurious to unbelievably cozy, the perfect room awaits you. This place is where day and night compete for your love. 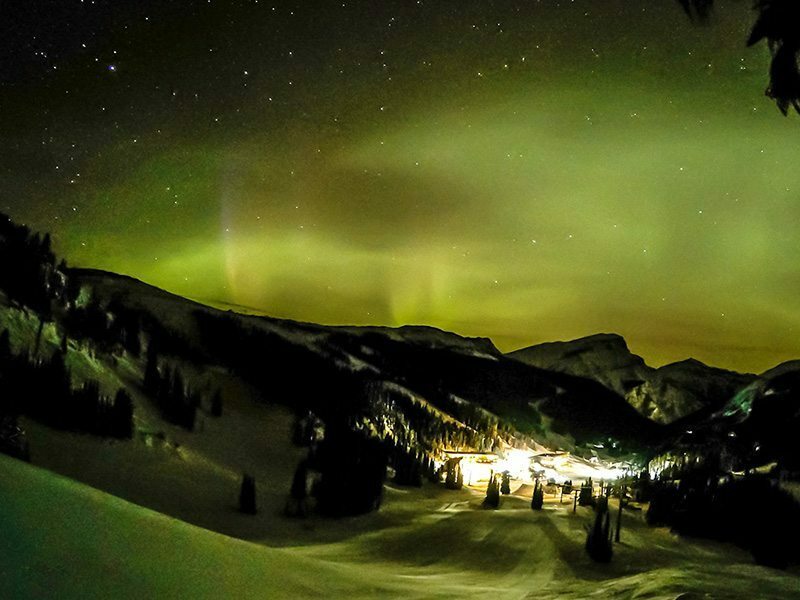 The three ski resorts of Banff National Park can be accessed from three mountain communities: Banff, Lake Louise, and Canmore. Each location provides unique benefits and accommodation options to suit your vacation style. 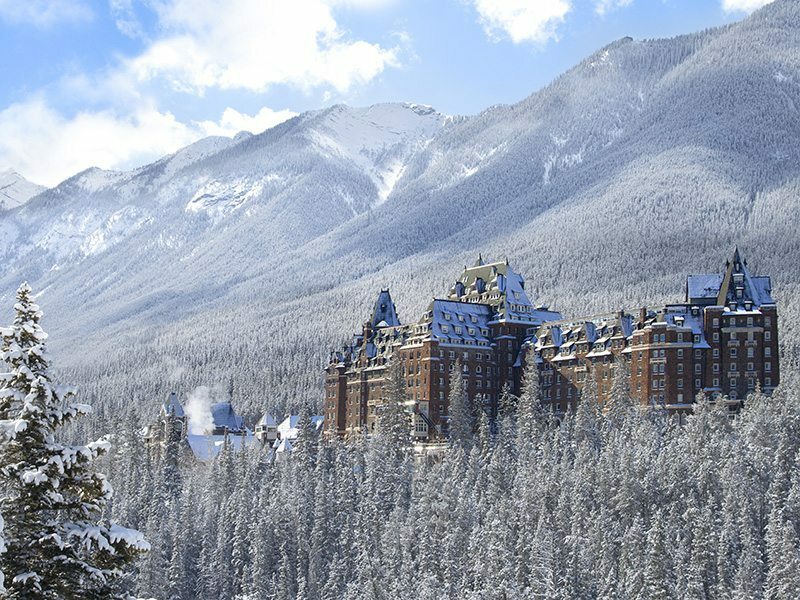 Perhaps you prefer the grandeur of the Fairmont Banff Springs, styled after a Scottish Baronial Castle. 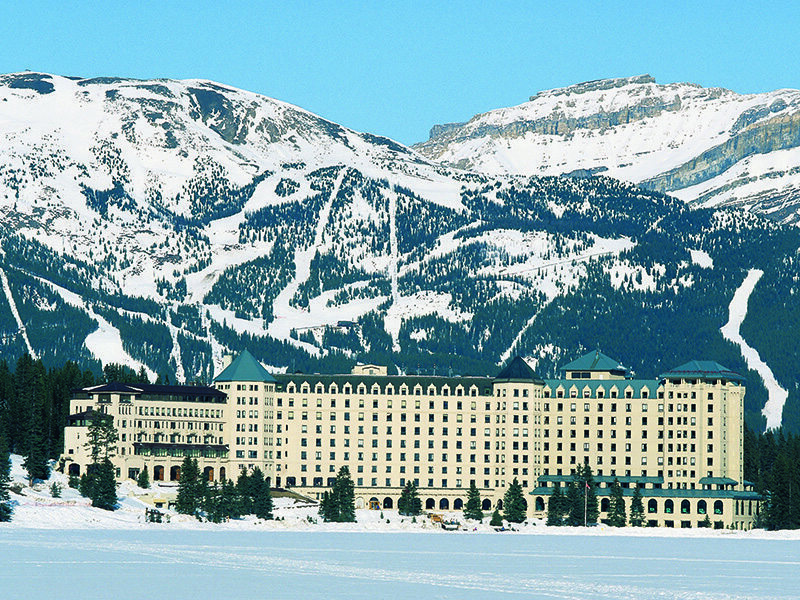 The iconic Fairmont Chateau Lake Louise, set on a glistening emerald lake surrounded by soaring mountain peaks. For those who like to be a little more independent, the local community of Canmore on the out-skirts of the National Park is beautifully tucked beneath the tower peaks of the Three Sisters. 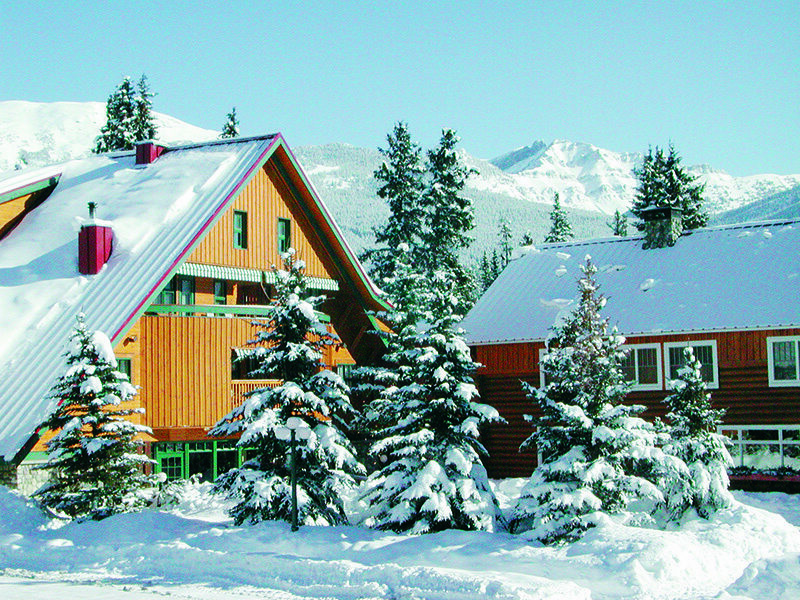 The perfectly situated Sunshine Mountain Lodge, Banff’s only ski-in, ski-out hotel. 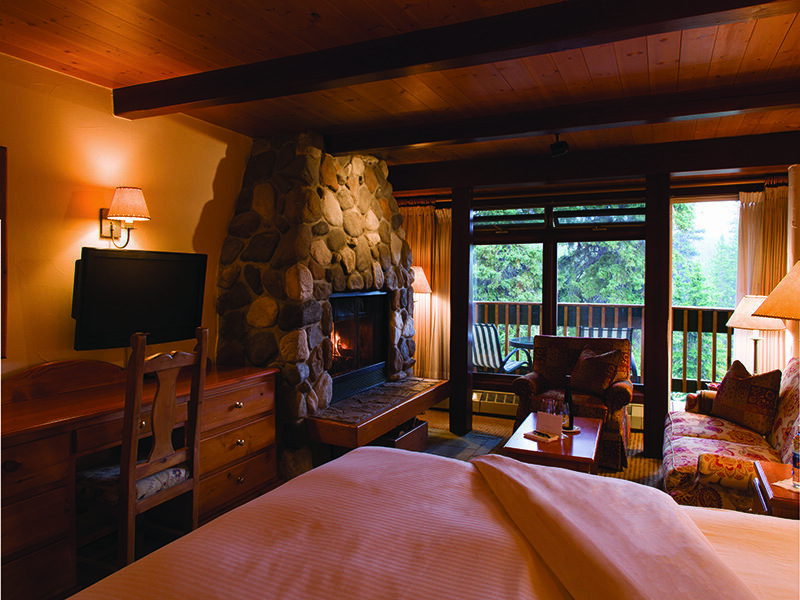 Or a true wilderness escape at secluded Emerald Lake Lodge. Whatever your taste and budget, from secluded lodges to the many choices in Banff, Lake Louise, and Canmore, SkiBig3 has a memorable room with a view for you. 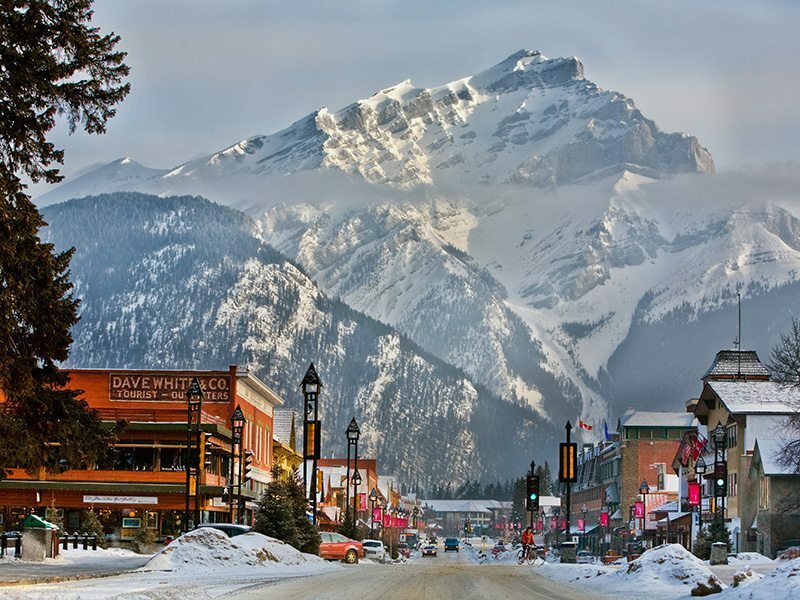 The town of Banff is the central hub for the majority of visitors coming to Banff National Park. In all directions you’re surrounded by strikingly beautiful and rugged mountains that seem to burst straight out of the ground. The lively streets of downtown are lined with an eclectic mix of restaurants, bars, and shops, as well as a vibrant range of art galleries and museums. Accommodation options run the gamut - from condos to castles, hostels to hotels. 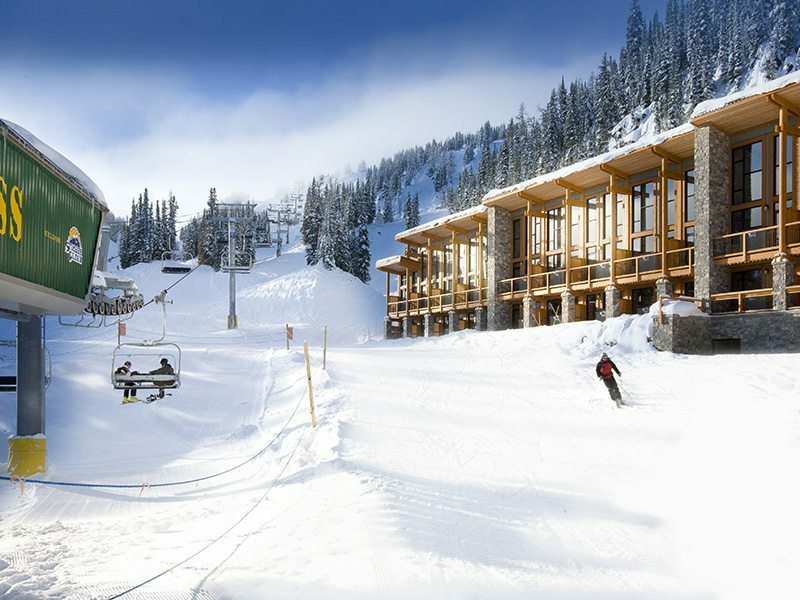 SkiBig3 Vacation Planners are here to help you find the perfect home-away-from-home to suit your budget and style. 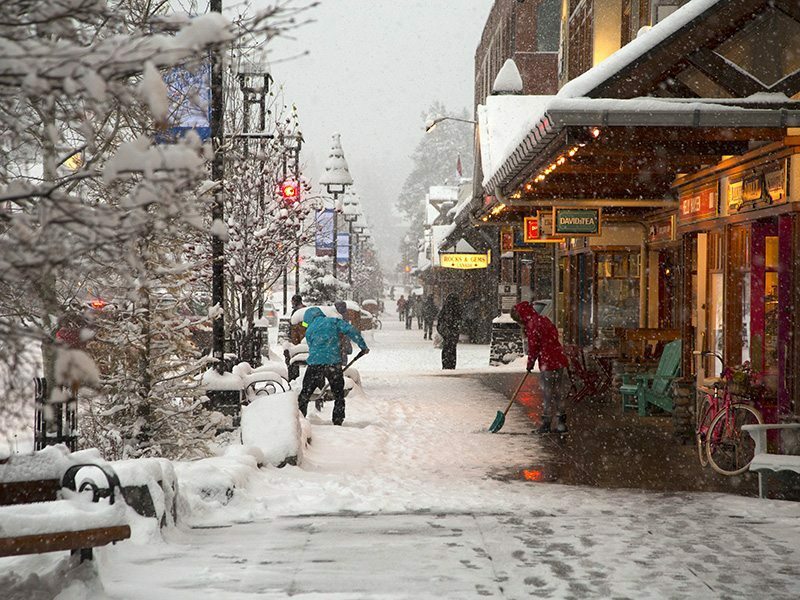 Ski shuttles to all three resorts are both comfortable and convenient. Mt Norquay is just 10 minutes from town, Banff Sunshine 20 minutes and Lake Louise 45 minutes west of town. 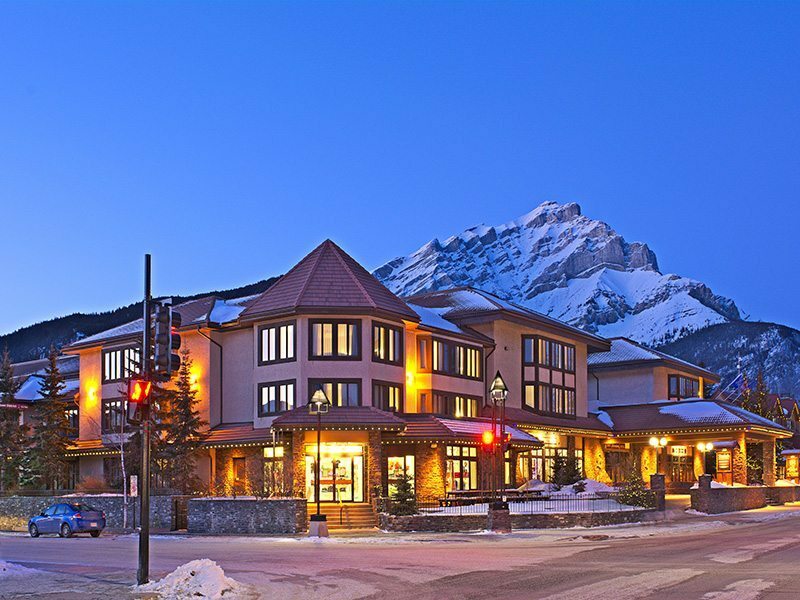 Banff offers moderate hotel style accommodations at affordable prices year round. Clean, comfortable rooms, combined with our legendarily warm, friendly atmosphere are sure to appeal to any budget conscious traveler. With dozens of options to choose from, many featuring amenities like pools, saunas and fireplaces, choosing the perfect Banff hotel is easy. 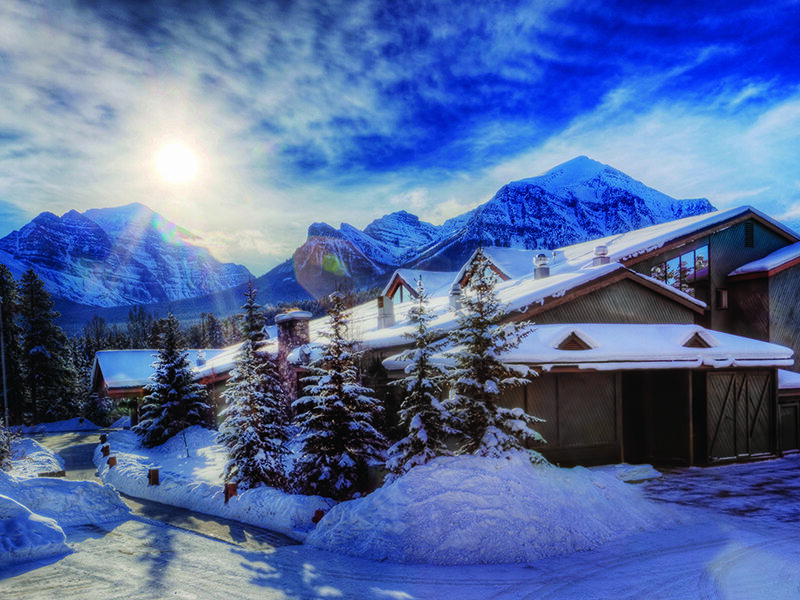 The Banff Caribou Lodge & Spa, with its mountain ambience, and Fox Hotel & Suites, with hot pool inspired by the original Cave and Basin Historic Site, are just two of many choices. 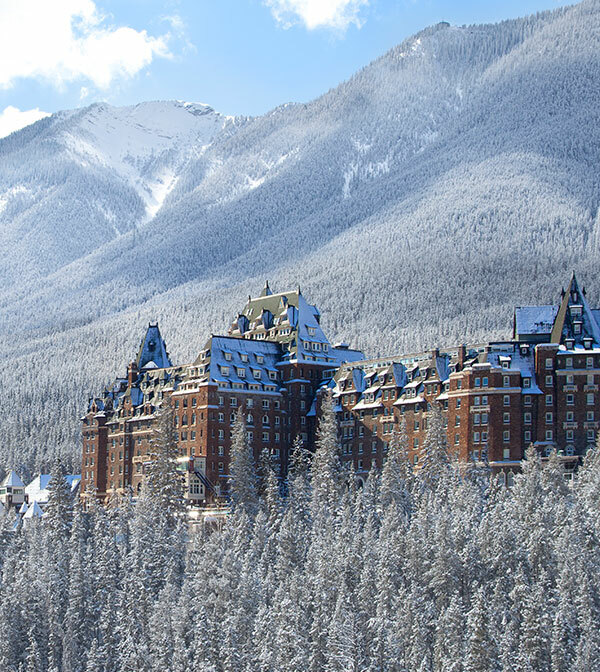 Historic fairy-tale castles set amid spectacular mountain scenery, like Fairmont Banff Springs. Breathtaking views from the luxurious Rimrock Resort Hotel, nestled in a pristine setting above the Banff Townsite. Complete with award winning dining, spas and outdoor activities. Banff's newest resort, the Moose Hotel & Suites, located close to the action of downtown. Dare to dream. Welcome to the most iconic mountain community in the world! Just 40 minutes drive west of the town of Banff, the luxurious Fairmont Chateau Lake Louise overlooks this postcard pretty setting. 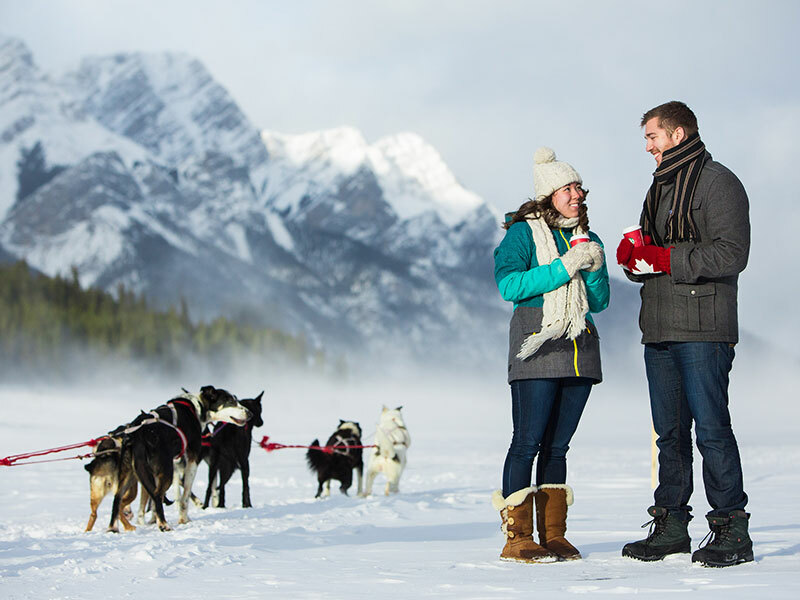 Staying here or at nearby lodges in the village of Lake Louise gives you easy access to horse-drawn sleigh rides, dog sledding, cross-country ski trails, snowshoeing and, of course, The Lake Louise Ski Resort. Looking to unwind? Rejuvenate at the spa, read a book by a fireplace, or take a quiet walk in the stillness of the outdoors. 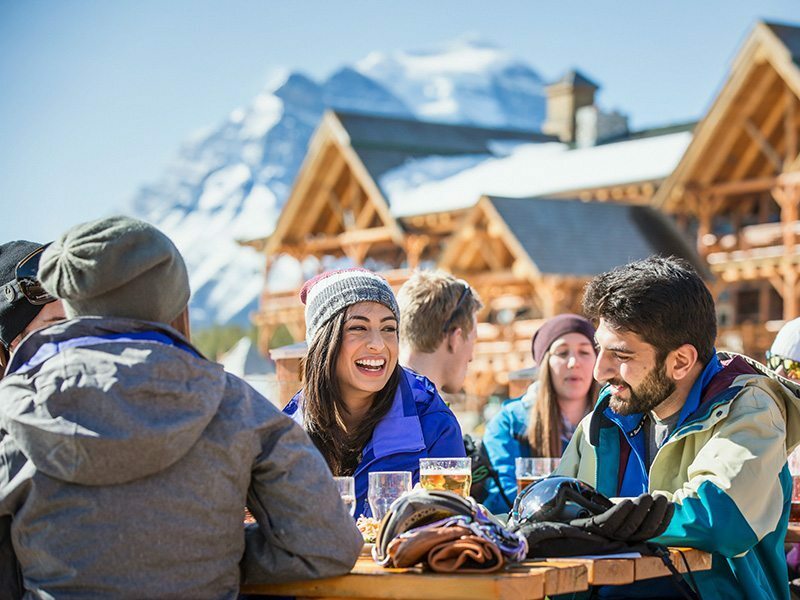 In Lake Louise, you’ll find all the amenities needed: hotels, restaurants, bakeries, delis, grocery store, liquor depot, and outdoor sports equipment and apparel. The hamlet of Lake Louise is located just off the Trans-Canada Highway (Highway 1), 40 minutes west of the town of Banff. 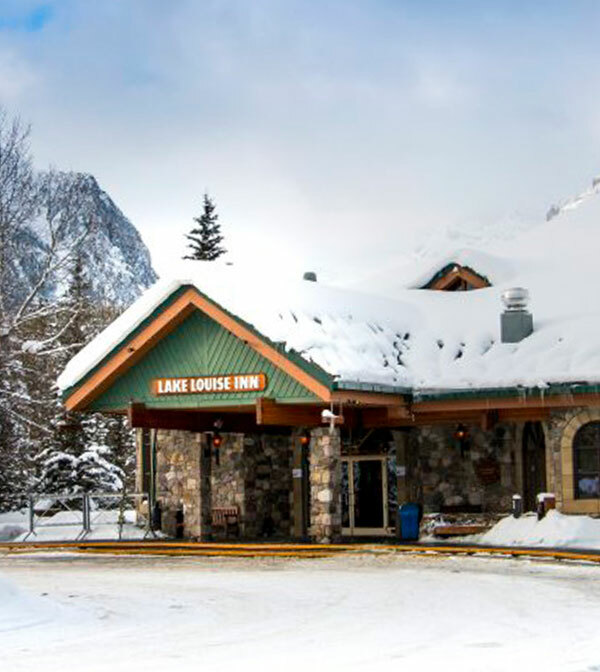 Lake Louise offers a variety of restaurant and accommodation options. Smaller and quieter than the town of Banff, you really feel immersed in the mountains and closer to nature. 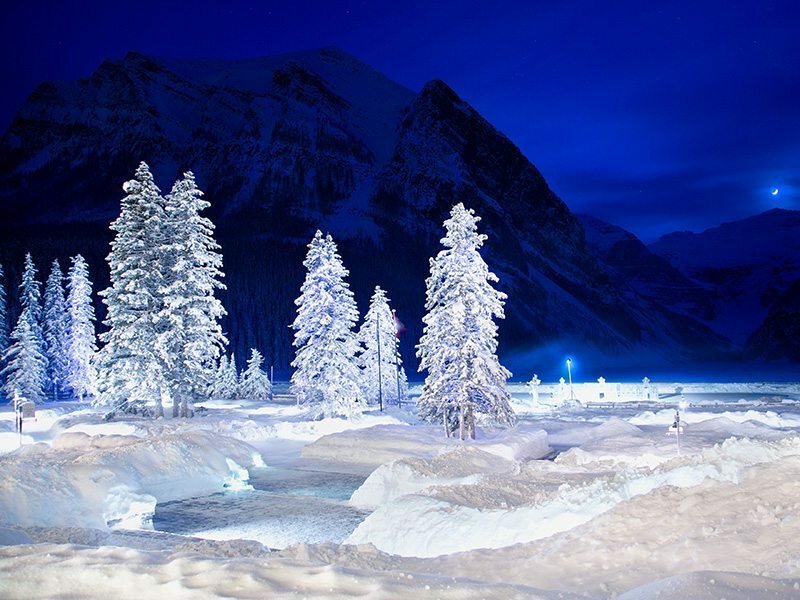 The famous waters of Lake Louise are five kilometres (three miles) up the hill from the hamlet and directly across the valley from the Lake Louise Ski Resort. Named for Queen Victoria’s fourth daughter, Lake Louise is a truly awe-inspiring sight.The hanging Victoria Glacier and an amphitheatre of rugged peaks provide an imposing backdrop. Ski shuttles to the Lake Louise Ski Resort are fast and convenient, taking only 10 minutes from the Lake, and 5 minutes from the village. Shuttles to Banff Sunshine are scheduled on specific days of the week. Lake Louise is home to several lodging options that are prefect for skiers & riders looking to make the most of their time on the slopes. The historic Deer Lodge is located close to the shores of Lake Louise with a view from roof-top hot tub that is second to none. 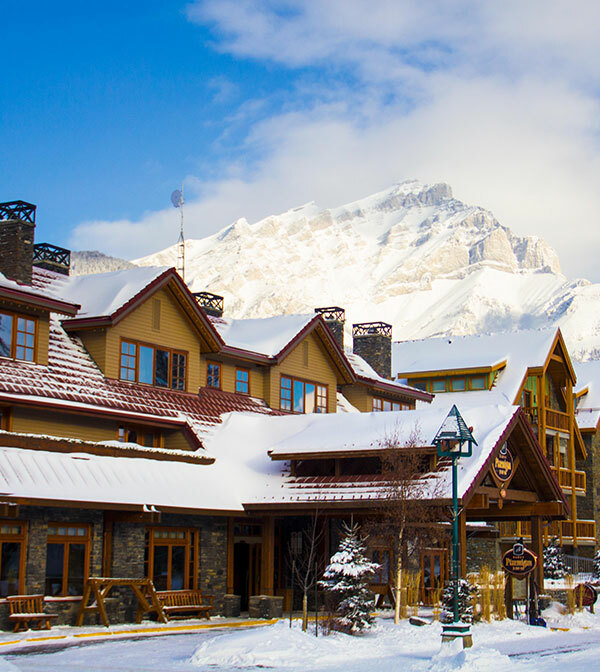 The Mountaineer Lodge and the Lake Louise Inn are both located in the village area and offer the perfect home-base for friends & families. 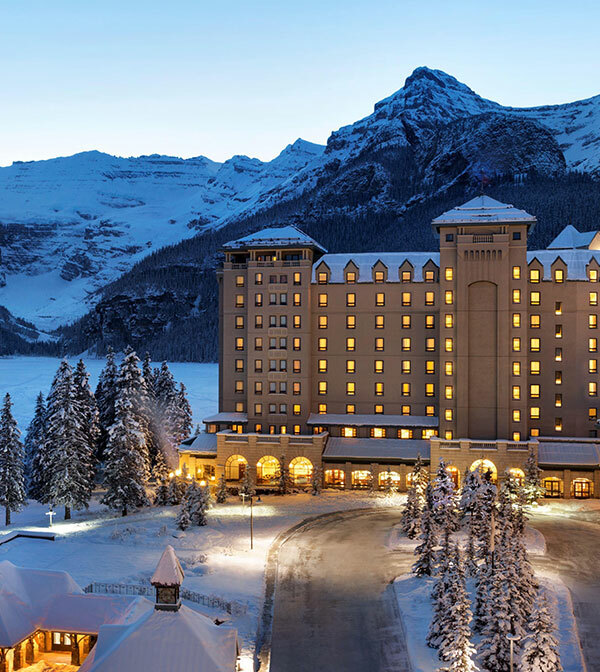 Luxury and Lake Louise make the perfect combination. 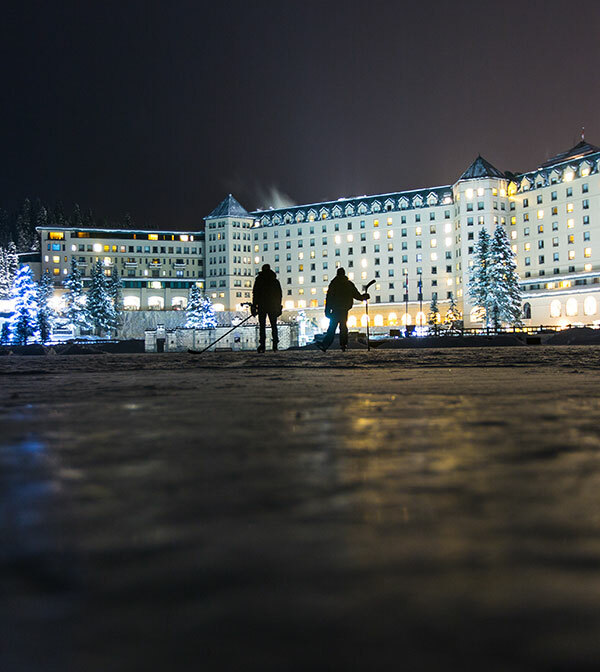 Take in the skaters, ice-sculptures and frozen waters of the lake beneath the imposing Victoria Glacier all from privacy of your lake-view room in the magnificent Chateau Lake Louise. In the heart of the village, stay at the Relais & Chateaux, Post Hotel & Spa, named by CNN one of the world's 10 most beautiful ski lodges. 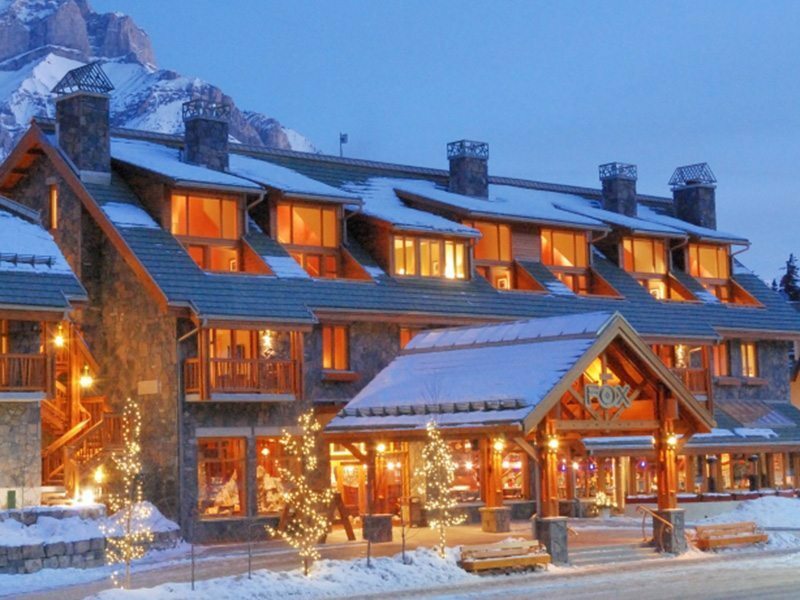 Nothing captures the essence of the Canadian Rockies quite like a secluded mountain lodge. 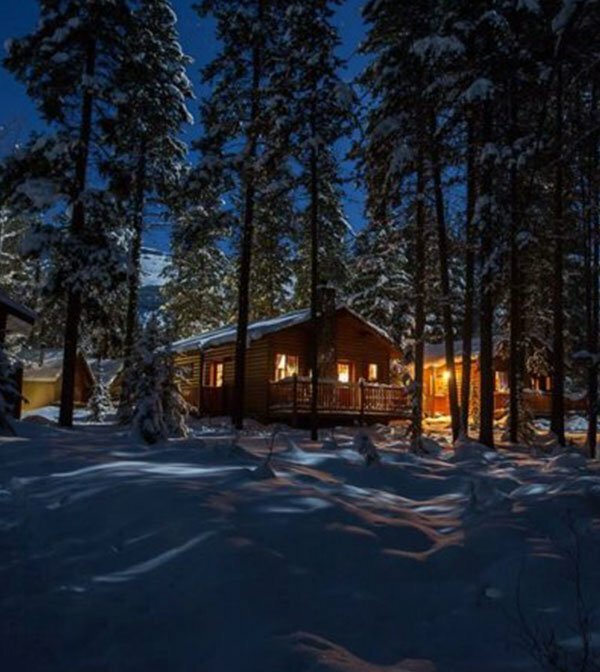 Wilderness locations that are off-the-beaten-track offer the chance to relax and unwind in your own private mountain lodge or cabin. 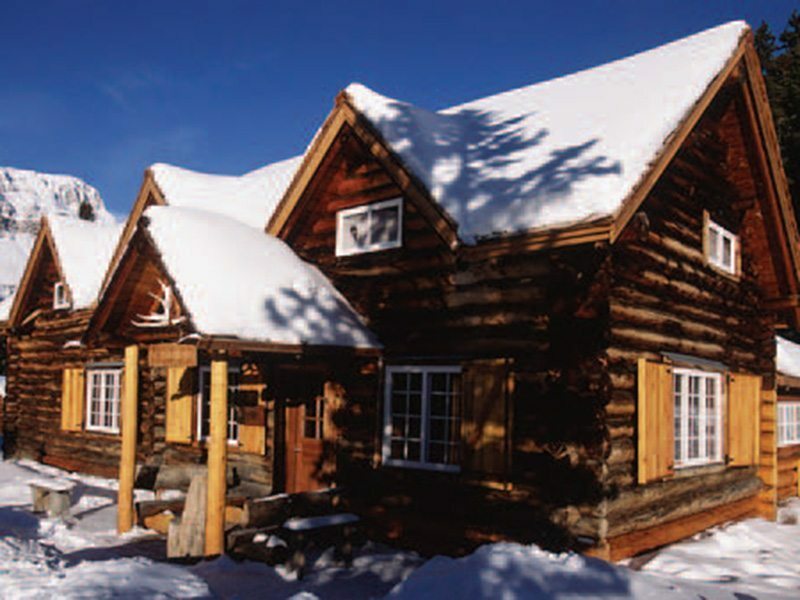 Emerald Lake Lodge is located 30 minutes west of Lake Louise, while Baker Creek Lodge sits quietly along the Bow Valley Parkway mid-way between Banff Sunshine and the Lake Louise Ski Resort. Both resorts are easily accessible by personal vehicle, but do not offer ski shuttle service to the ski resorts. 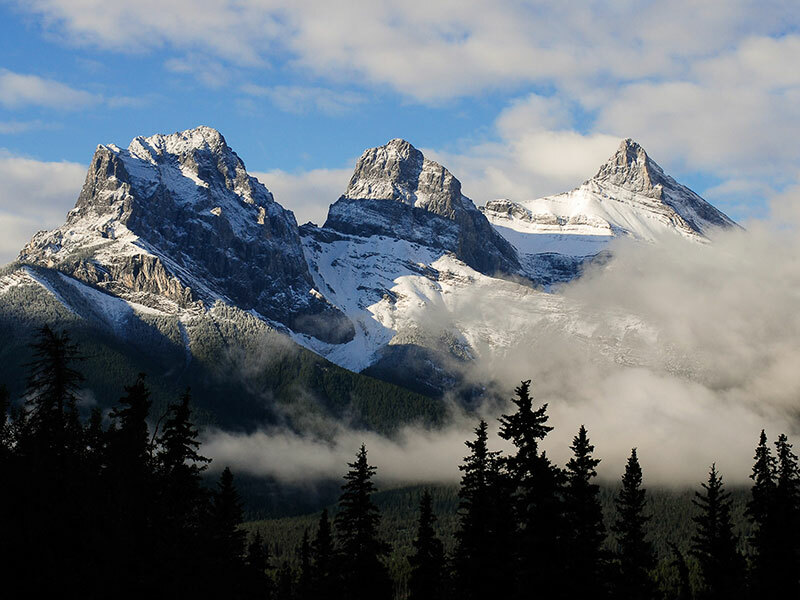 Canmore is the gateway to Banff National Park. 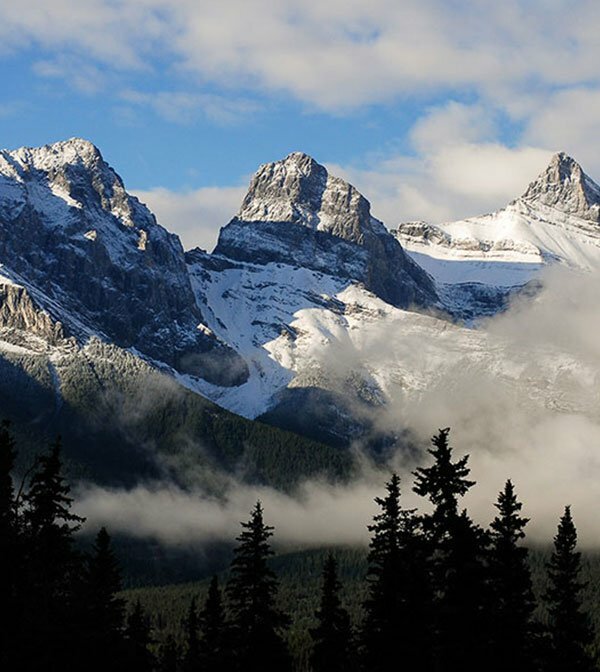 Overlooked by the Rundle mountain range and the famous Three Sisters, this idilic mountain community provides easy access to both Banff National Park and Kananaskis Provincial Park. 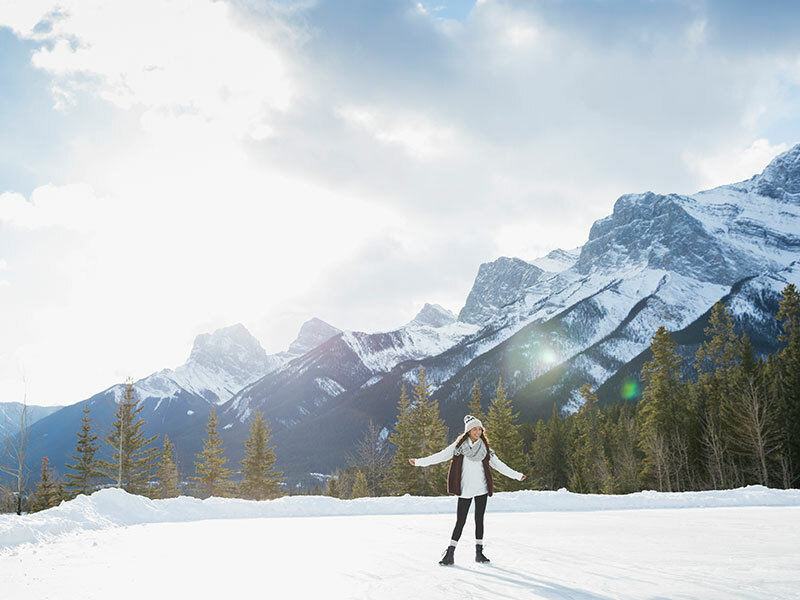 Home to the world-class Canmore Nordic Centre, this town offers a laid back mountain vibe for outdoor enthusiasts. 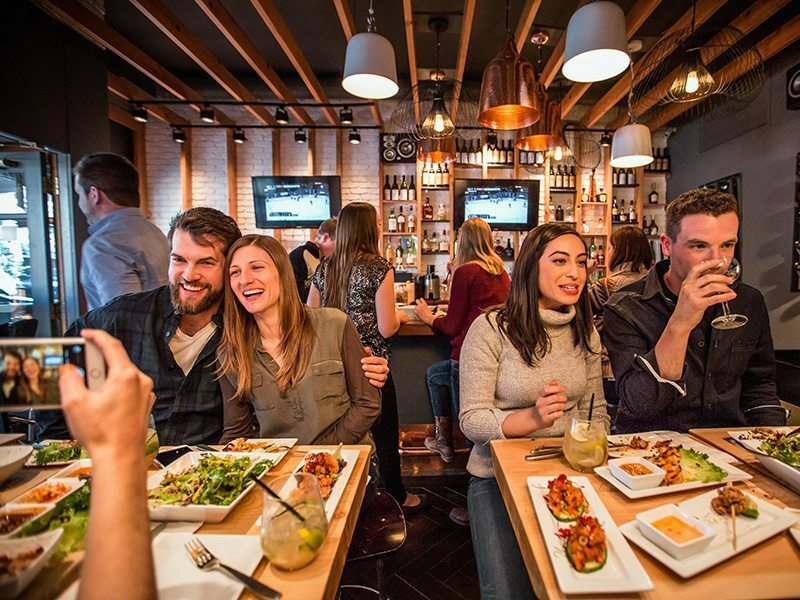 With a thriving culinary scene, visitors can sample from a wide cross-section of restaurants, pubs, bakeries and cafes spotted throughout the town. Visitors staying in Canmore can drive to the town of Banff and Mt Norquay with an easy 20 minute commute. 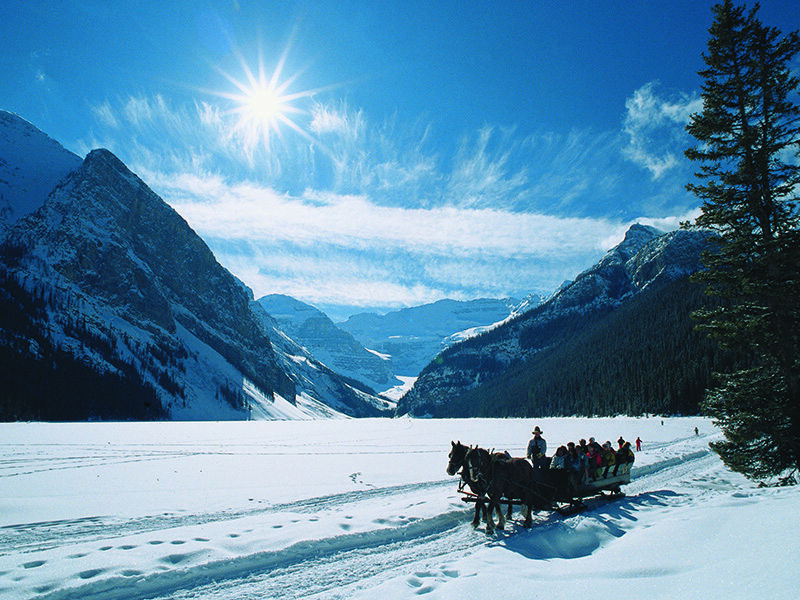 Banff Sunshine is located 30 minutes west of Canmore, and Lake Louise is 60 minutes west. 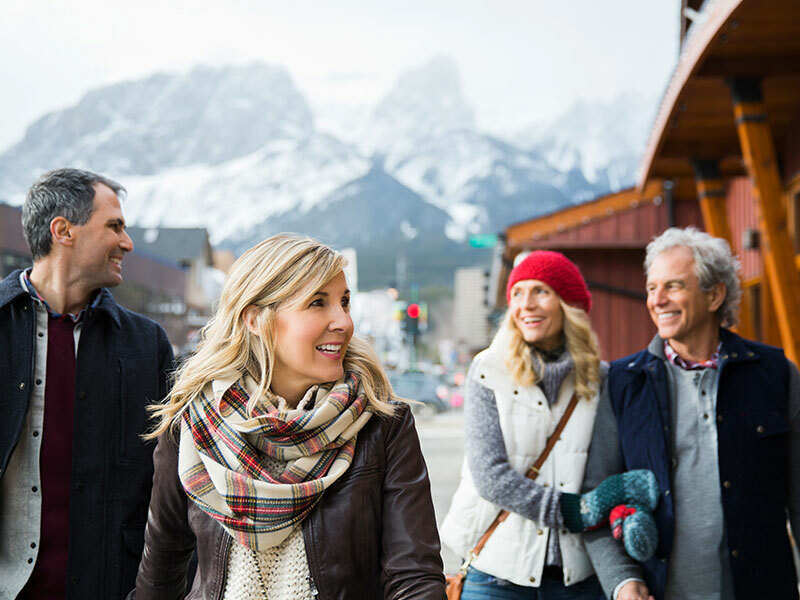 When arriving from the Calgary International Airport, your first stop in the Canadian Rockies is the mountain town of Canmore. Located just outside the east gate of Banff National Park, Canmore is a picturesque mountain town that won't disappoint. Canmore makes a perfect base camp for world-class mountain adventure. Family-friendly accommodation options combined with unique restaurants, shops, and a Recreation Centre that showcases a climbing centre, library, art gallery, pool and indoor water park provide a truly unique experience. 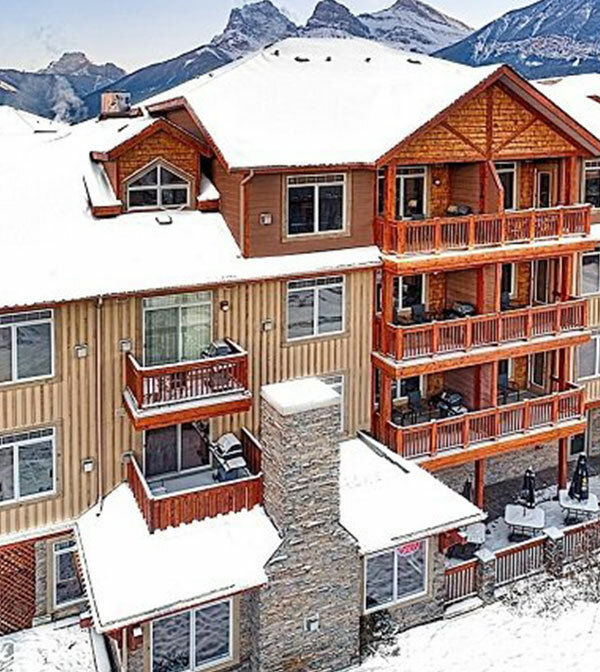 Canmore offers a multitude of condo-suite styled accommodation options. 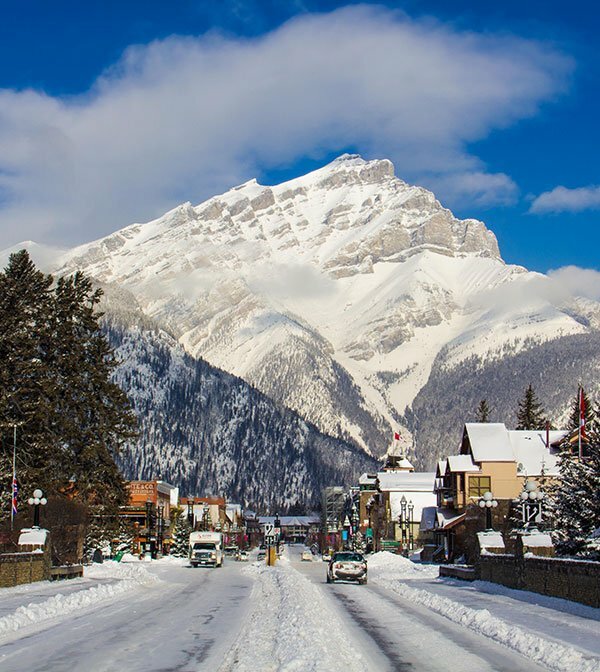 While community bus service runs between the town of Banff and Canmore, ski resorts are most easily accessed by personal vehicle. Canmore hotels boast amazing amenities at a reasonable price. 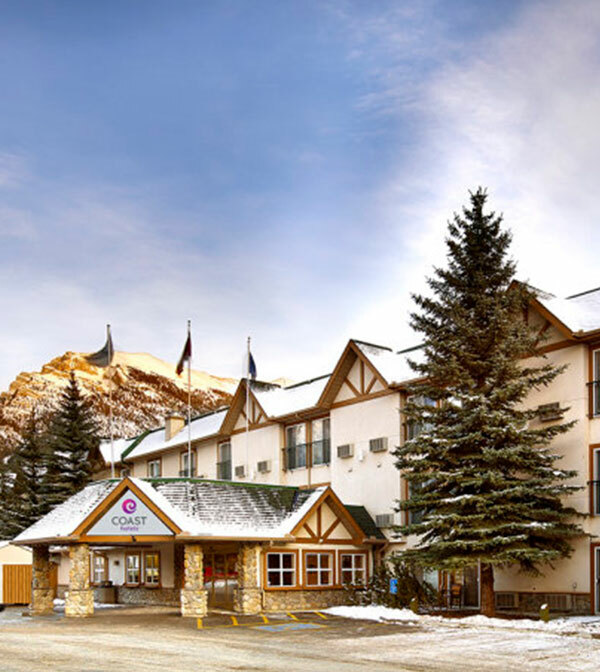 They are convenient base to all winter sport activities and are just a short drive away from the ski resorts of Banff National Park. 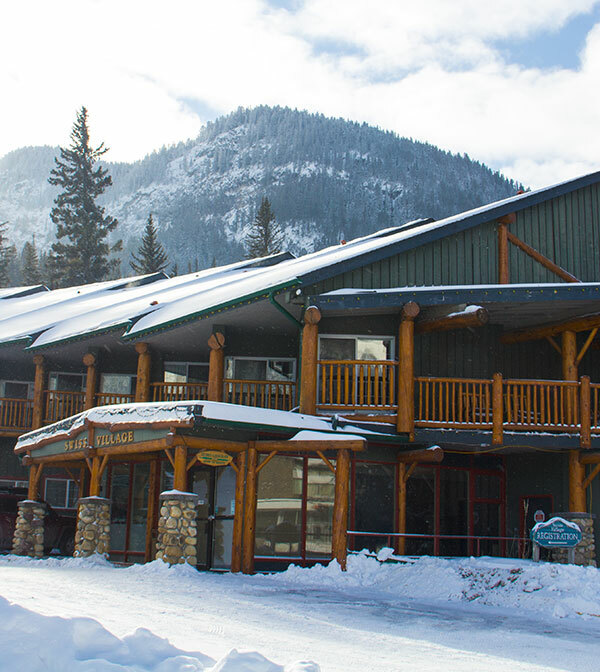 The Coast Hotel offers easy access to walk to Elevation Place (Canmore Rec Centre) and Main Street, the central shopping district. Looking for great value, stay at the Copperstone Resort Hotel, located just outside of town and east of Canmore. Canmore offers a multitude of accommodation options to provide you more space. These modern resorts are designed for families and groups staying for a longer duration. 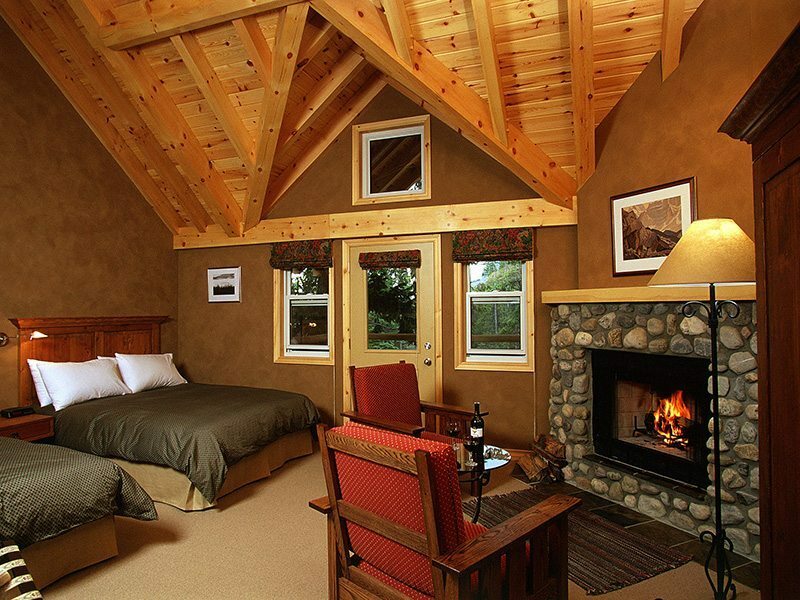 Experience serene mountain settings while still enjoying all the comforts of home. Enjoy wood burning fireplaces, full kitchens and patios or balconies, along with the privacy that comes with your home away from home.